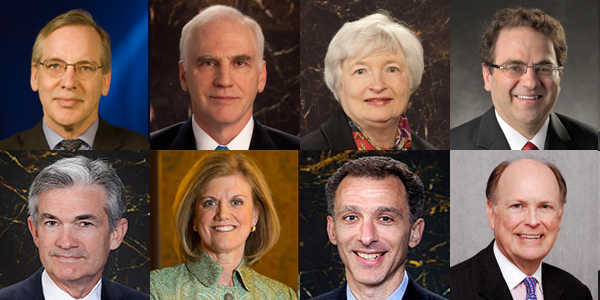 How Does The Fed Control Interest Rates In A Free Market? Even as recently as 2007, banks were paying 4% interest. Now you have to go to the hundredth decimal before you find your interest rate. We have the Federal Reserve’s manipulation of the bond market to blame for this change. Bonds are loan contracts. Unlike stocks, each bond contract has unique characteristics that define how repayment will occur. Every bond contract has at least five components: the borrower, price, date of maturity, value of maturity and coupon rate. The price of the bond is the loan itself. The date of maturity is when the face value of the bond is due. The value of maturity is the face value of what the borrower will pay back. The borrower is given a rating of its likelihood to be paid back. The coupon rate is the advertised interest rate. However, the effective interest rate (also called a bond’s yield to maturity) is determined by the coupon rate of the bond as well as the difference between the price and the face value. The higher the default risk, the lower the price of the bond and the higher the interest rate will be to entice savers. Savers are necessary for the loanable market to exist. A world of borrowers has no one to borrow from. In the bond market, savers are the suppliers of money, whereas borrowers represent the demand for that money. The effective interest rate is paid by the borrowers and is the price of the monetary exchange. Savers most frequently represent financially savvy households, but even government powers who don’t have “savings” in the traditional sense have weaseled themselves into this role. The Federal Reserve, whose assets are nearly all IOUs (over 98%) with 54% U.S. Treasury bonds, has become one of the biggest players in the bond market. Until recently, the Fed has been purchasing $86 billion each month. Even though we talk about bonds being purchased, the only value really exchanged is the bond loan. The rest of the bond contract, with its interest rates and value of maturity, is merely the agreement by which money is sold. The bond itself has no intrinsic value; it is just the promise to repay money. In the bond market, the good supplied is money itself, making it the reverse of the way most people think of supply-and-demand curves. When savings increase, the amount of money available to loan increases as well. This greater supply of loanable money causes a lower interest rate, which is more favorable for borrowing. Thus with more savings, the low interest rate encourages more borrowers, and more investment occurs. In contrast, when savings decrease, less money is available for the borrowers and the interest rate increases (more favorable for loaning), naturally discouraging borrowing and preventing shortages. With less savings, the increased interest rate discourages borrowing and less investment occurs. Both investment (enabled by saving) and spending (enabled by borrowing or saving) are critical to economic progress, but ultimately saving is the enabler of both. This is why the Fed became a saver in the bond market. With its trillion-dollar pool added to the supply side of money, it can to pull interest rates lower with every new round of Treasury purchases. The supply of money increases, decreasing the interest rate and artificially increasing investment by the amount the government has added. Every time the Fed buys a bond, it is allowed to use it as collateral to back more Federal Reserve Notes, which are then used to buy more bonds. This is the equivalent of printing money, making your hard-earned savings foot the bill for the Fed’s artificial savings. Real savings is necessary for the engine of economic growth. To spend money today on something that will create value in the future, you need to be either a saver or borrow from a saver. Every dollar borrowed is a dollar saved. If no one saved, no money would exist to invest or loan. There would be no means to spend money now to get a payoff in the future. If there is no future increase, then gross domestic product (GDP), which is the value of future goods and services, would suffer lack of growth. Thus less saving means less investment and a higher interest rate that ultimately means less GDP. The Fed’s artificial savings cannot raise real GDP in the long run, and it is debatable if it even can in the short run. But the Fed can inflate nominal GDP and nominal stock market values by devaluing the dollar via inflation. Inflation heavily affects the supply and demand of the bond market. The increase in the money supply due to inflation decreases the value of money. The increased supply lowers interest rates, making the market more favorable to borrowers and less favorable to savers. Additionally, the annual compounding effect of a high inflation rate enables borrowers to borrow valuable money now and pay back to the saver relatively worthless money later. With increased money supply lowering interest rates and inflation continuing to rob value from the savers, the borrowers may be able to earn value simply from borrowing money. This is why, with a high inflation rate, the interest rate must rise to overcome inflation to create favorable incentives for savers to loan out money. If the inflation rate is even expected to increase, savers are more wary about loaning money. With less incentive to loan, the supply of loanable money decreases until interest rates rise enough to make the exchange a good deal for savers. If inflation is unpredictable with sporadic increases and decreases in the rate, then neither borrowers nor savers want to risk being cheated out of value by making a deal. The loanable market will struggle to build a bridge between borrowers and savers. If you can’t sign a future contract with confidence, then over time the economy will begin to have trouble functioning. Long-term contracts will be riskier and less attractive, decreasing future value and thus decreasing GDP. Thus a constant, predictable or nonexistent inflation rate is healthier for the economy than a wildly changing, unpredictable inflation rate. The Federal Reserve knows it has the power to upset the loanable market in this way and therefore takes care to move the market gradually. The slow decline in interest rates was not by chance; it was by design. Images in the public domain from federalreserve.gov.